This factory was located in Milton Street opposite the showgrounds. Was sold out to Rae Brothers and finally McLellans. a 1926 Advertisement for Alfred Nielsen's Aerated Water Factory. An example of a Nielsen Stone Ginger Beer bottle. 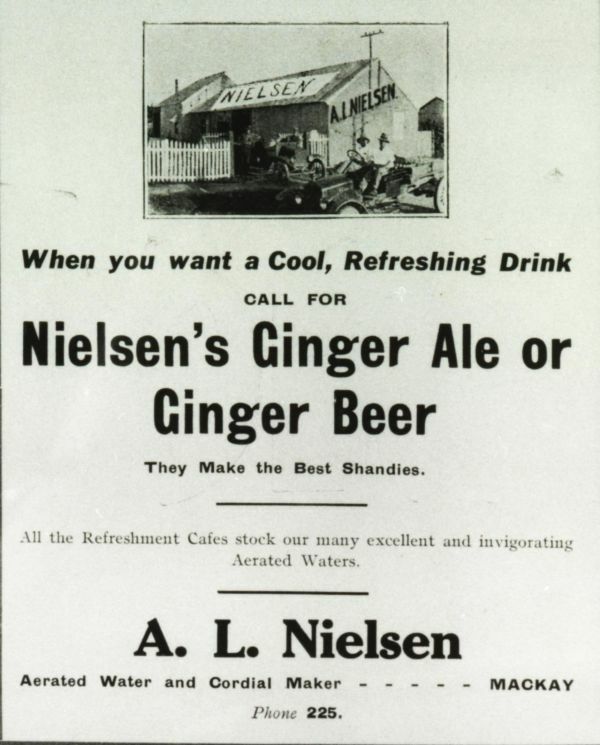 Another example of a Nielsen Stone Ginger Beer bottle. 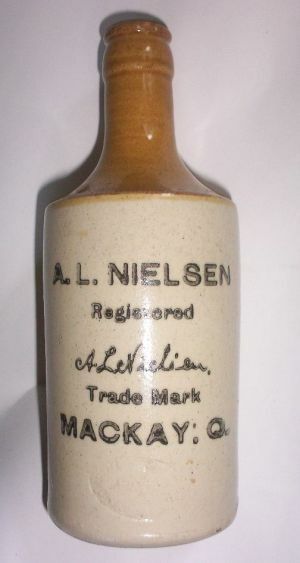 Another example of a Nielsen Stone Ginger Beer bottle. 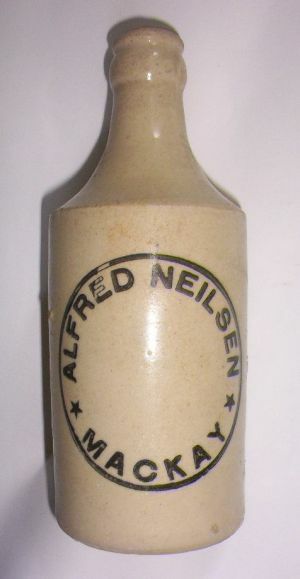 Another example of a Nielsen Stone Ginger Beer bottle. 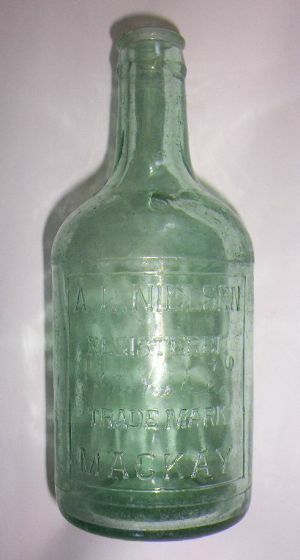 An example of a Nielsen glass bottle. 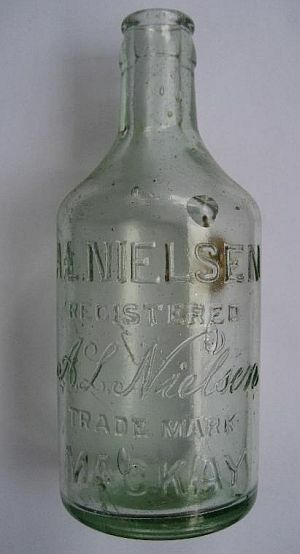 Another example of a Nielsen Dump Soda glass bottle. A Nielsen's crown seal Dump soda Bottle. (photo courtesy of Marc, Australian Antique Bottle Forum) An extremely rare example of a Nielsen 10oz Lamont. Was owned by a local Mackay collector. Sold at Auction in 2007 for $6500.